Detergents can be characterized by a number of parameters. The most important of these are the CMC, the aggregation number, the CMT, the Krafft point, the cloud point, the partial specific volume and the HLB number. The importance of this parameter is that solubilization processes frequently proceed via the micellar form of the detergent involved. The CMC is defined as the surfactant concentration at which formation of micelles begins. Increases in concentration beyond this point give rise to an increase in the number of micelles, but do not increase the concentration of the monomers. The CMC value is characteristic for each surfactant but is strongly influenced by environmental factors like pH, temperature and especially for ionic detergents: ionic strength and type of counter ions. In solutions of ionic detergents, the CMC will be reduced, when the concentration of counter ions is increased (which reduce the repulsion between the equally charged polar groups). The CMC is also influenced by the structure of the detergent, e.g. an increase in the length of the non-polar hydrocarbon chain will result in an increase of the micelle size and a lower CMC, as fewer molecules are required to form a micelle. The CMC can also be considered as a measure for the hydrophobicity of a detergent and as an indicator for the strength of detergent binding to proteins. Detergents with low CMC value are generally more tightly bound than detergents with high CMC. The aggregation number is the average number of molecules that form a micelle of the surfactant in question; it is hence a criterion for the micellar size. The aggregation number is relevant for the solubilization of membrane components, but also for analytical separation procedures like dialysis or gel chromatography. Such as for the CMC, the Na is dependent on outer factors like pH, temperature and ionic strength. The critical micellar temperature and the Krafft point are of importance, if a surfactant is to be used at low temperature. The CMT coincides with the temperature of the micellar to crystalline phase transition and the Krafft point is defined as triple point at which monomers, micelles and hydrated crystals coexist. Only few surfactants precipitate in the cold because in most cases the CMT and the Krafft point are considerably below 0 °C. The cloud point is a typical property of polyethoxylated non-ionic surfactants. Above a specific temperature, the aqueous surfactant solution separates into a heavier, surfactant-rich and a lighter surfactant-depleted phase. The reason for this phase separation is the temperature-dependent dehydration of the polyoxyethylene chain. The temperature-induced phase separation can be utilized for biochemical separations, e.g. for the extraction of membrane proteins. 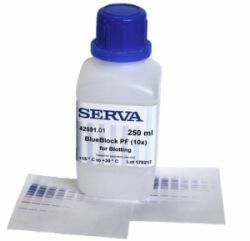 When centrifugation is used, the partial specific volume v of the surfactant is at least as important as the micellar size, because the buoyancy factor (1 - vp) determines the rate of sedimentation at any density p.
The HLB number is a measure of the hydrophilic or lipophilic character of surfactants. On a HLB-scale from 1 - 20, W/O emulsifiers appear around 3 – 8, whilst hydrophilic surfactants (O/W emulsifiers) range between 10 and 20. The HLB number can either be calculated from the chemical composition or it can be determined experimentally.. HLB numbers for surfactant mixtures can be determined using a simple rule of mixtures.